The latest trailer looks good with a nice surprise at the end. Old time Virtua Fighter fans might be feeling a case of dejavu as the opening seems to mimick the Virtua Fighter 3/Model 3 arcade board trailer. I tried to find it on youtube and failed, but the old footage basically showed Aoi going through her moves in the snow with impressive (at the time) snow effects. Also some new screens here. While I was looking for the old VF3 trailer, I stumbled upon this mini game trailer for Yakuza Dead Souls. I tried out the game a few weeks ago and really dug it. I had no idea that later on you had access to such crazy mini games. It just landed on my games wishlist on Amazon now. The price is $43.90 which looks pretty reasonable to me. I also downloaded VF5 Final Showdown and bought the 2 DLC packs last night. Hope to have some impressions up soon. There are many times over the course of the year where I felt my PlayStation Plus subscription was well worth the cost, but this month is totally bananas. 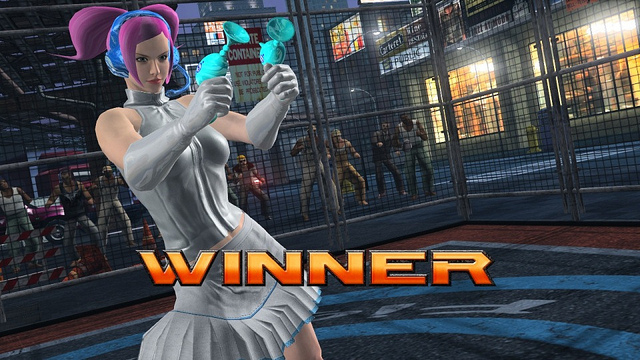 Virtua Fighter 5: Final Showdown is FREE for plus subscribers this month. AND the two DLC bundle packs are on sale for $11.99 vs $14.99 non-plus member price. So the game and all the DLC for $24? Deal! This reminds me that the official Hori VF5 stick is up for pre-order and shipping June 22nd. $139 is a bit steep so I could always opt for the similar Soul Calibur stick for PS3 or Xbox 360 for only $99, on sale from the usual price of $149. While I'm psyched for a bunch of games revealed at E3, it's always nice to play something RIGHT NOW. Can't wait to check out all the costume customizations in the two packs.